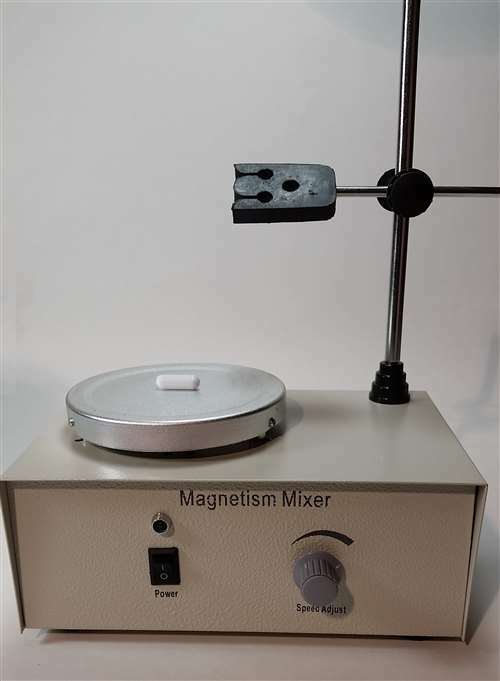 Magnetic stir plate with pH probe arm and 1 inch stirbar included. Speed control dial. This new stir plate can hold up to a 5000ml flask. Standard 110V power.